Established in 2013, Adsterra quickly grew in popularity thanks to its unique approach to ad formats and the priority placed on quality service. Since its inception years ago, Adsterra has quickly become one of the fastest expanding ad networks online. Pop-under advertising service for publishers. Adsterra has seen a lot of success in the handful of years that it has been in operation so far. The network was launched in Scotland and is now expanding worldwide. It is currently serving more than 10 billion unique ad impressions each month. Each of these ad impressions is geo-targeted, displaying around the world. Currently, it is working with publishers and advertisers from over 190 different countries. The number is continuing to grow as they expand into even more countries. Today, Adsterra works with thousands of different advertisers and publishers across the globe. They focus on both website advertising and mobile advertising for advertisers and publishers. Their main ad types include CPA, CPC, and CPM. Adsterra specializes in unique and innovative advertising displays and combining them with intelligent ways to monetize off of those ads, both on the web and mobile. 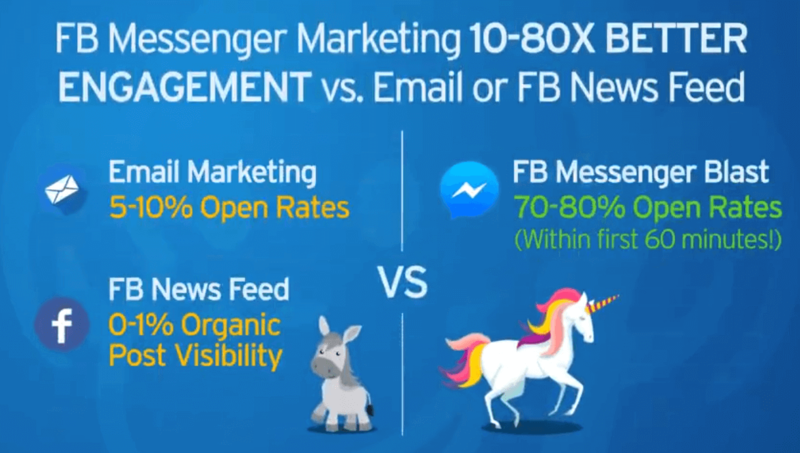 They connect advertisers and publishers together who both want to profit using a lot of effective ad formats like display banners, popunders, interstitials, direct links, and video banners. Although they offer may different ad types including cost per click and cost per view, it’s the pop-unders that they really specialize in. They offer a variety of different ad formats and ad sizes that you can use to maximize your revenues as a publisher. What We Like: They specialize in pop-under ads. When you have access to a variety of different networks, it’s good to have some networks that have specialties. This is one of them. Rather than joining a network that is mediocre at everything, it’s better to join different networks that are great at different things. As far as pop-unders go, Adsterra is one of the best. Adsterra makes it a priority to attract high-quality advertisers that are committed to marketing their brand. This not only gives you a lot of options as a publisher, it also gives you access to advertisers that are making an effort to give you every opportunity and tool that you need to maximize your results for the benefit of both of you. What We Don’t Like: Although they have other types of ads that you can use, it’s not the best network if you are looking for something specific other than pop-unders. While they are great at what they specialize in, they are not the best network for publishers if you are looking to concentrate on a different type of ad format. Adsterra also has a fairly high minimum payout threshold that you have to meet. If you’re just looking to get started with an advertising network and you anticipate starting out slowly, this may not be the right network for you. If you are in this situation, we recommend looking for an ad network that has a lower payment threshold, closer to $10. Adsterra offers a variety of ads to publishers. Adsterra provides a number of different ad formats that their advertisers can create for their publishers to use. This ranges from the classic display banners to non-intrusive pop-unders that are waiting to be seen. Adsterra does a great job displaying their pop-unders. As a publisher, you will be able to customize the pop-under, including how large the window is, and where on the screen it appears. You can experiment with this to find out what works the best for your advertising campaign. Adsterra also allows for direct linking on their ads. This means you can profit off of sending a visitor directly to the landing page as opposed to flashing a banner in front of them beforehand. As flexible as their desktop options are, Adsterra really excels in the mobile space. Adsterra employs an intelligent ad type. With their mobile ads, you will see the display pop-up so that it communicates the message to the mobile viewer without interrupting what they’re doing, which would otherwise cause frustration towards the brand. When you use a mobile ad, it will display while the viewer is waiting for their next page to load. This allows you to display your ad in front of the entire screen without enticing the mobile user to actively close the ad. The other advantage of this is that you will get the entire screen for your ad during a time where the mobile user does not have anything else they want to look at until their pages finished loading. The Adsterra Control Panel is clean and easy to navigate through. They don’t overwhelm you with a dozen different options and features like other networks do. Instead, they keep a minimalist friendly interface, which makes it easy to stay on top of things and follow along with what you intend to do as opposed to getting distracted with all of the different features that other networks try to cram onto their dashboards. We like this approach. It makes it easy to focus on what we logged in to do for each session. Even though it doesn’t look flashy, it does not hinder your ability to navigate through the different aspects of the network as you need. From the dashboard, you will be able to quickly access anything you need to get to in your account. Adsterra offers multiple ways that you can pay, which makes it easy to use, no matter what processor you rely on. They pay out every two weeks. They require a $100 minimum before you can cash out. If you are using wire transfer, the minimum balance to cash out is $1000. There is a $45 charge if you use Wire Transfer, an 8% charge if you use Web Money, and a $1 charge if you request payment through Paxum. If possible, we recommend using PayPal for all of your transactions with Adsterra to keep the additional charges as low as possible. If you are an advertiser, they require a minimum deposit of $500. This is good for publishers because it ensures that any advertiser that uses Adsterra is a serious one. From the publisher’s point of view, the more serious advertiser is about their marketing, the more money there is to be made for the publisher, which makes the $100 minimum threshold a lot more obtainable. Adsterra is well-known for the great customer support that they provide to their publishers. They offered 24 seven round-the-clock support and a personal account manager dedicated to every publisher. No matter what your problem is or when it occurs, you will be able to get a hold of the Adsterra support team anytime you need them. They have a ticket system which they usually respond to within a day. You can also use their email or contact them instantly through Skype. For non-English speakers, they also offer support services in other languages, however, they may not be available 24-7. As far as mobile advertising goes, we feel like Adsterra has nailed it perfectly. It displays the ads in an intrusive way, without intruding on the user. It’s a great example of combining technology and creative thinking to provide some of the most intelligent and effective mobile advertising strategies you can use. Adsterra also excels in their geo-targeting tools. It allows publishers to display different types of ads based on the location that the traffic is coming from. It doesn’t help you to display a US-only ad to someone that is accessing the site in Europe, or vice versa. This geo-targeted filter helps avoid wasting situations like that. You can split test different types of ads using their geo-filters to see what works best for what demographics. Our favorite aspects of the technology that Adsterra has implemented is there real-time tracking. We have already mentioned this above, however, the importance of this cannot be overstated enough. 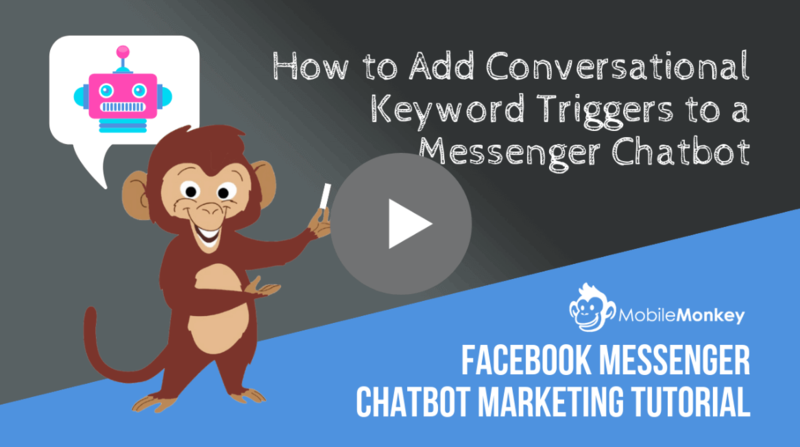 If you take the time to learn how to use this tool, it can make a huge difference in the success or failure of your campaigns. You can use this data to track how your advertising campaigns are working in real time and adjust on the fly. Lastly, Adsterra uses geo-edge technology to help prevent and eliminate suspicious activity. They can monitor where real traffic is coming from, which helps them cut back significantly on click farms and bot traffic, artificially inflating the results that the advertisers are receiving from their publishers. This may not seems significant; however, it plays a big role in why Adsterra is able to offer such high earnings for their ads. By virtually eliminating fraud from their network, they are able to pay their publishers higher rates than what other networks are able to afford. If you fit the requirements, Adsterra can create a lot of opportunities for you. The right publisher can earn big payouts using this network. 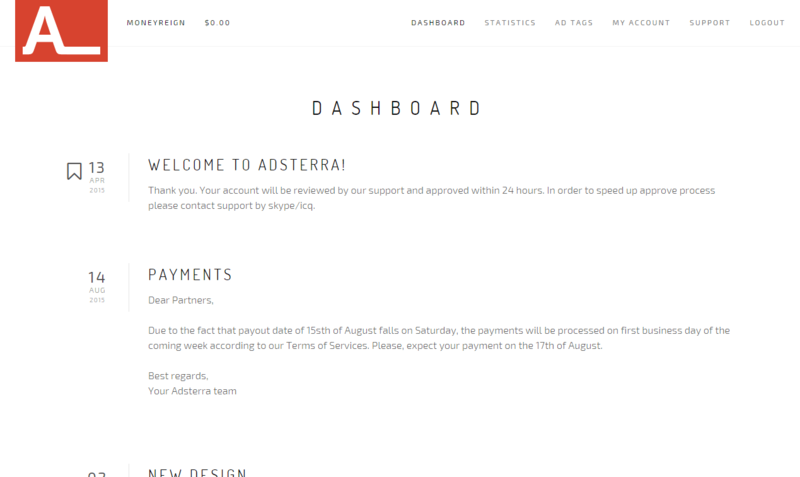 Adsterra offers their publishers real-time statistics. If you know how to use these to your advantage, you can fine-tune your marketing approach to maximize your revenues. If you have the right kind of traffic, the right ad types that they provide for you, and you combine them with the real-time statistics they offer, it can help you generate some serious earnings. Adsterra is a great ad network to use for publishers that have long-term and established sites. If you have a heavy source of US or European traffic, this ad network is going to be a great choice for you. It provides high payments that are comparable to AdSense, which makes it a great alternative. Adsterra crashes down tightly on publishers that violate their terms of service. If you plan on breaking any of their listed rules, we recommend planning for an eventual ban. If you are a website owner that is still working on growing their traffic, this is a network that you should wait on because you may not be able to meet the minimums that they require their publishers to have.